In the spring of 2013, engineers, stormwater and street maintenance officials from the City of Goshen met with sales personnel from D2 Land and Water Resources and PaveDrain, LLC. 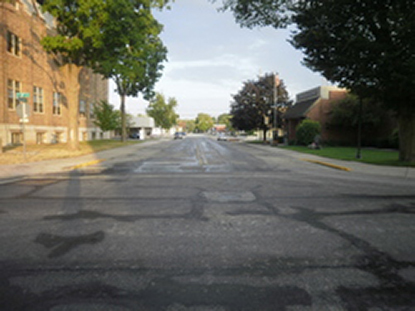 Jefferson Street (which just happened to be half a block away from the Goshen City offices) was plagued by an undersized sewer in the area that caused the sewer to back up into nearby building basements. 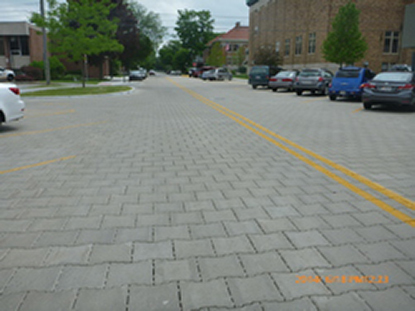 A permeable surface was determined to be a cost effective solution in lieu of larger piping. Concerns about snow plowing and maintenance were at the top of the list of City officials. 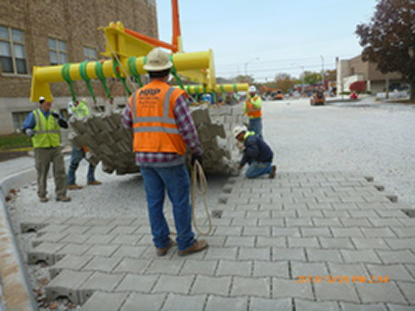 After showing the durability and minimal maintenance features of the PaveDrain system, plans and specifications were put together by the city. 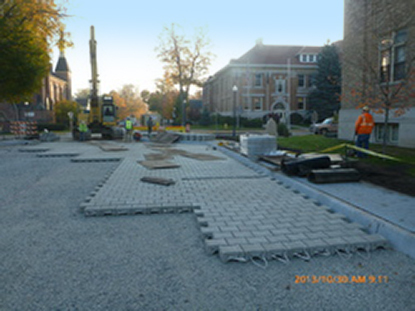 The project was bid in July of 2013 and HRP Construction of South Bend, Indiana was chosen for the work which commenced in October of 2013. 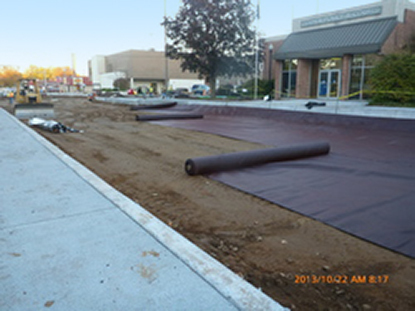 After the base preparation was finished the installation of the PaveDrain system took one week to complete using the mat layout provided by PaveDrain, LLC. The winter of 2014 was the worst winter the City of Goshen had experienced in over 100 years with a frost depth of up to five feet and record snowfall. For good measure spring rains also hit the area, but the flooding that would have previously affected the area have ceased. In the spring of 2014 a sanctioned bicycle road race was held and no ill effects from the riders were felt while riding on the PaveDrain system.